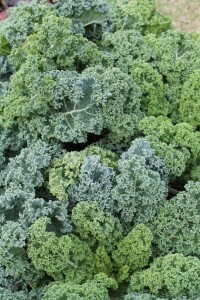 Kale is all the rage and packed with nutrition. You can find more details about its nutritional value in my post here. Though I prefer it sauteed, many health enthusiasts are zealous about drinking raw kale smoothies. Combine all ingredients in a really powerful blender (I use my Vitamix) and blend until smooth. Add more water, ice or honey, if needed. This recipe was featured in The Panama City News Herald, December 27, 2012.